Learn more about our neck pain specialists and our neck treatments at Wake Orthopaedics. Cervical disc herniation. This causes pain radiating down the arm, and happens when a disc in your spine presses against your cervical nerve. Adult spinal deformities. Deformities of the neck occur with aging of the spine, or can be caused by prior surgeries. Degenerative disc disease. This condition is caused when discs in your spine collapse, and is the most common cause of neck pain. Cervical myelopathy. Dysfunction caused by bone spurs and disc bulges pinching the spinal cord. At Wake Orthopaedics, our team of skilled orthopedic doctors in Wake County can treat a number of neck and arm pain issues, relieving tension in your neck muscles, or offering treatment for pain and stiffness. While some of the aforementioned conditions are only truly treated with surgery, we will work with you to find an effective treatment that suits your needs. 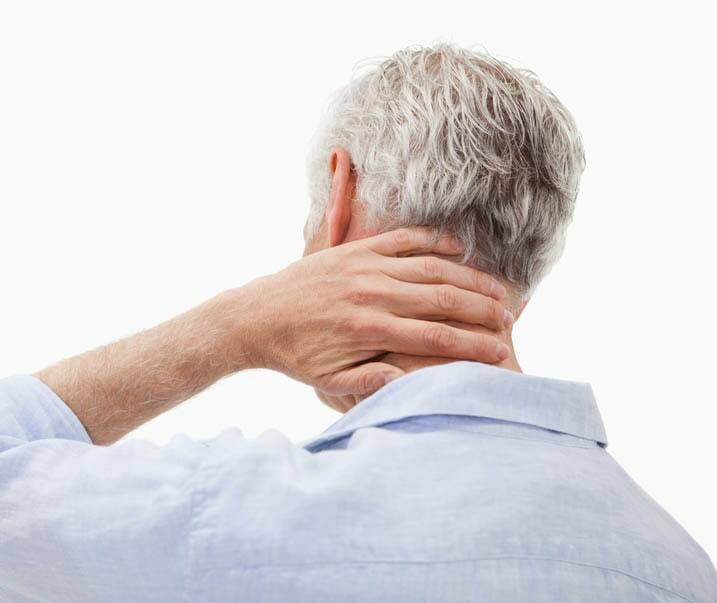 When your neck pain just won’t get better on its own, Wake Orthopaedics can offer the relief you need to lead a pain-free life. By using a combination of skilled doctors and cutting-edge techniques, we can get you back to feeling normal, and going about your daily activities without any literal pain in your neck. Contact us today to speak with our neck pain specialists, Dr. Deol and Dr. Regan. Wake Orthopaedics provides sports medicine and orthopedic treatments, like neck pain relief, to the Triangle area through our offices in Raleigh, North Raleigh, Cary, Brier Creek and Garner, NC.